Future climate change is expected to necessitate a wide range of agricultural adaptation strategies. Photo credit: Gord McKenna, Mt. Baker and Ladner Fields 2008, Creative Commons by NC ND 2.0. Richland, Wash. – The culminating stakeholder workshop of WSU’s BioEarth research initiative will be held on Thursday, February 16 at the WSU Tri-Cities Campus. Farmers, industry representatives, government agency personnel, county conservation district staff, NGO representatives, researchers and extension agents interested in adaptation strategies for regional agriculture should all participate. The focus of this workshop will be on understanding agricultural adaptation opportunities in a changing climate. The day will begin with talks by researchers describing how models are being used to investigate possible outcomes of near-term and long-term agricultural adaptation decisions, such as changing planting dates, investing in new irrigation technology, and crop switching. The afternoon portion of the workshop will include a round-table discussion of tradeoffs and co-benefits associated with specific management decisions. Together, participants will establish priorities for communicating model results and embarking on future research directions. This Agricultural Management Scenarios Workshop will build upon researcher-stakeholder dialogue that has taken place in previous BioEarth workshops across the Northwest. In recent months, members of the research team have also presented important findings in a series of webinars. 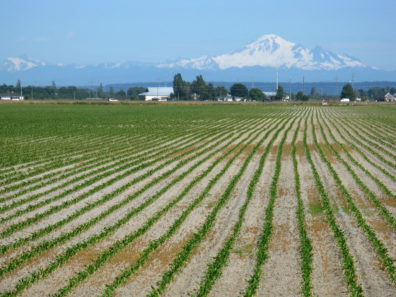 You can view previous webinars and sign up for upcoming webinars about how climate change is projected to impact regional crop yields (January 31) and tracking aquatic and atmospheric nitrogen transport (February 7) here: http://csanr.wsu.edu/webinars/bioearth/sign-up/. To find out more about the BioEarth regional earth systems modeling initiative, visit http://www.bioearth.wsu.edu/. This entry was posted in Event Announcements, Impacts & Adaptation on February 3, 2017 by AgClimate Admin.